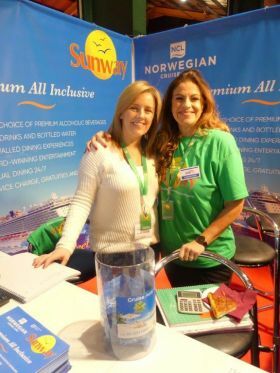 Sunway Cruise and NCL at Holiday World Dublin. Never a better time to develop your cruise business and take time out to visit one of the many Cruise trade partners at Holiday World Dublin this weekend. Passenger numbers are increasing in one of the most progressive segments in our Industry but it still represents a small percentage of our overall numbers from Ireland. So take the opportunity and visit one of the many leading brands at Holiday World Dublin this weekend. Celebrity Cruises, Royal Caribbean International, MSC Cruises, Hurtigruten, Norwegian Cruise Lines (NCL) and Silversea Cruises are just some of the cruise exhibitors who will be offering their expert advice and show only deals at Holiday World Show 2019. They can offer you advise on cruises with excellent children’s activities, top class gastronomy from celebrity chefs and award-winning West End shows on board, not to mention the opportunity to wake up in a new destination every day!